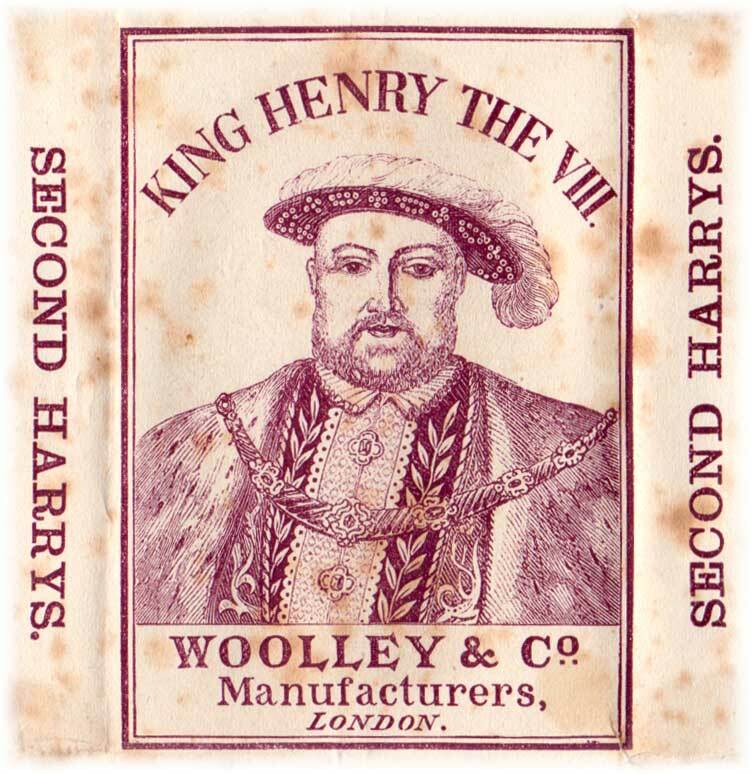 Woolley & Co produced a range of different quality playing cards, and these “Second Harrys” are towards the cheaper end of the range, with one-colour backs and without enamelled facing. Each year new styles were brought out, in various colours, as fashions changed. 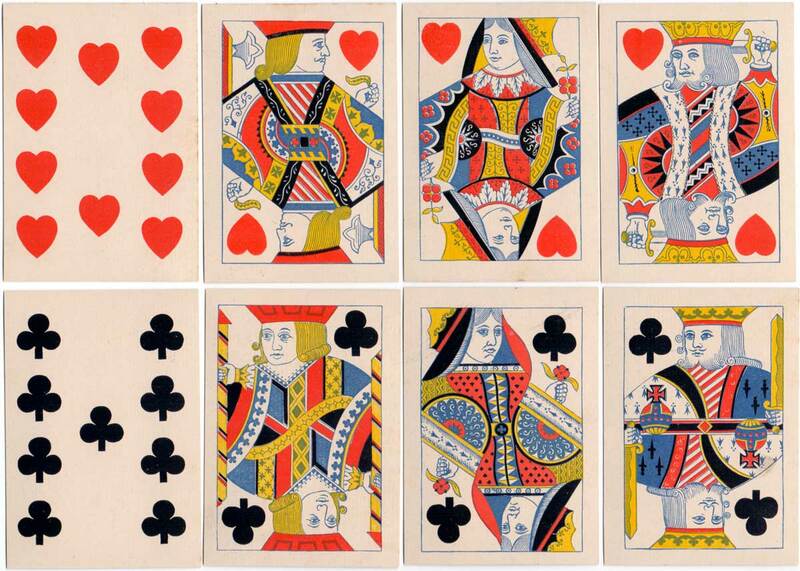 At this time machinery was steam powered and cards were cut, sorted and assembled into finished packs by hand. 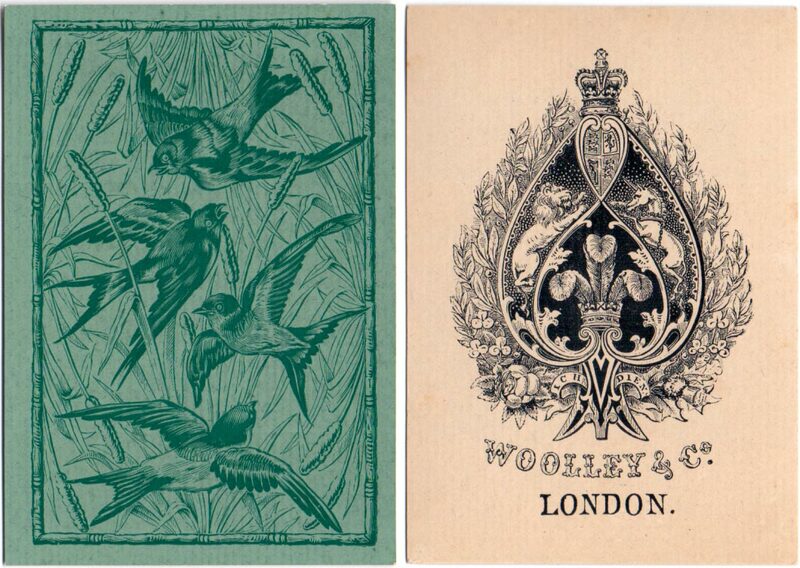 Above: Second Harrys manufactured by Woolley & Co., London, c.1877. 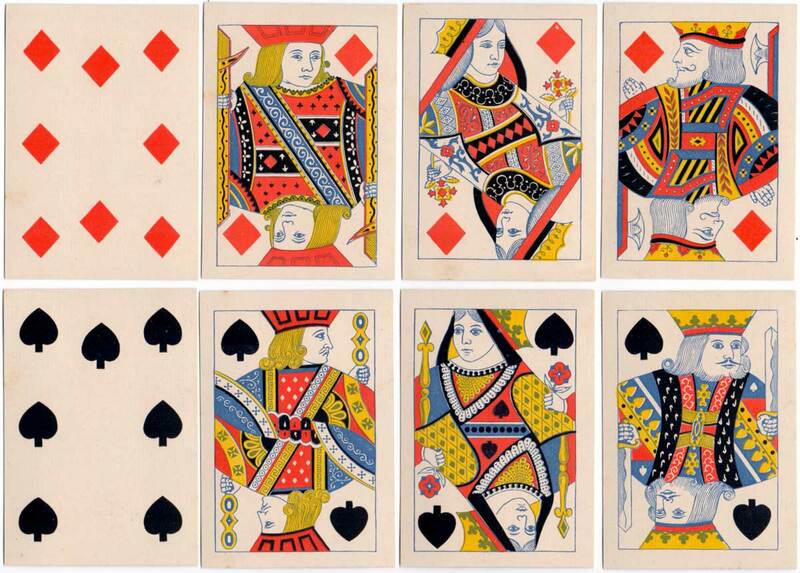 The court cards are double-ended and unturned, with square corners. The pip cards are one-way. A detail from the wrapper is shown below.